that small tree in the distance along with the grass in back and front. Only brush used was the grass ones in the middle portion of the wall. feeling much better and ready to start that Hiromi vector. for a push was my way of finally ending this project on time. works I did. Sorry for not responding, don't have much time. Wow Kit-chan this is goregous! i especially love that sakura tree in background! And happy bday to chloe-chan-san too! i agree with abul-san but this is goregous! 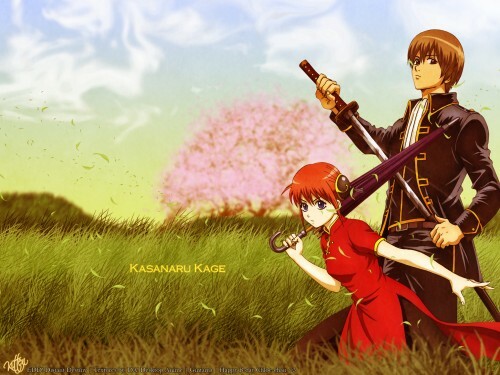 Wow okita and kagura are so cute together! Wow the grass is really nicely done! 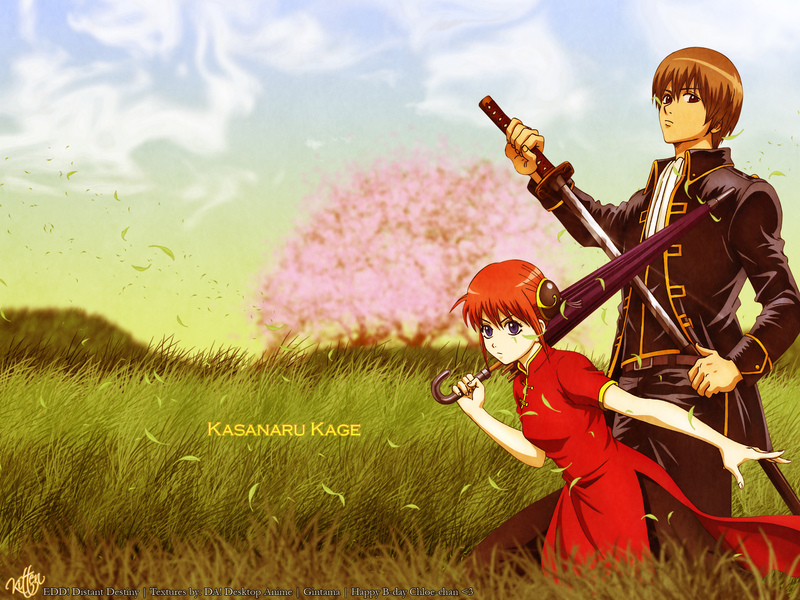 Wonderful background--the sakura tree looks great!--and great use of the scan. Nicely done. I love this couple also! Thanks for the vector! Nice. I like the fact you have two opposite characters featured. Anyway, it's nice to see more originals from you! :D Your style is just so cute! x3 Keep it up!